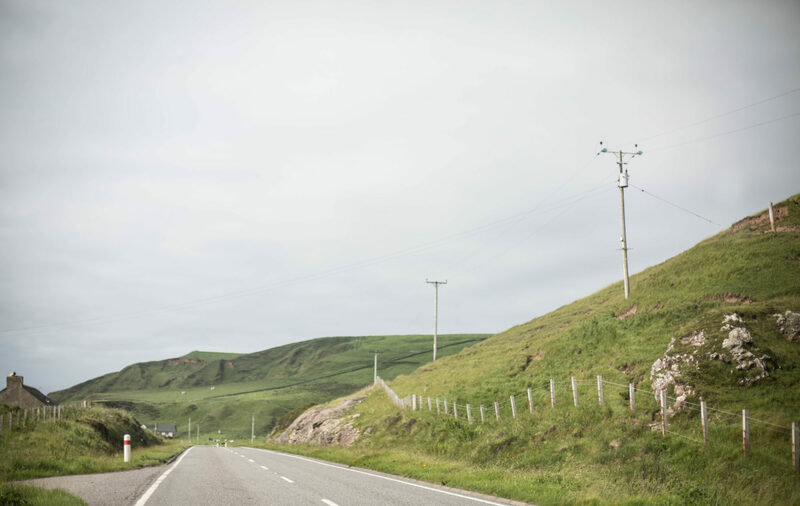 Campbeltown, situated at the southern tip of the Kintyre peninsula, may be only 60 miles from Glasgow as the crow flies, but it’s a world away in many other respects. It takes more than three hours to drive into the city, flying is expensive, and ferries to the mainland are few and far between. So the people of this picturesque part of the country are well-used to relying on their own resources. 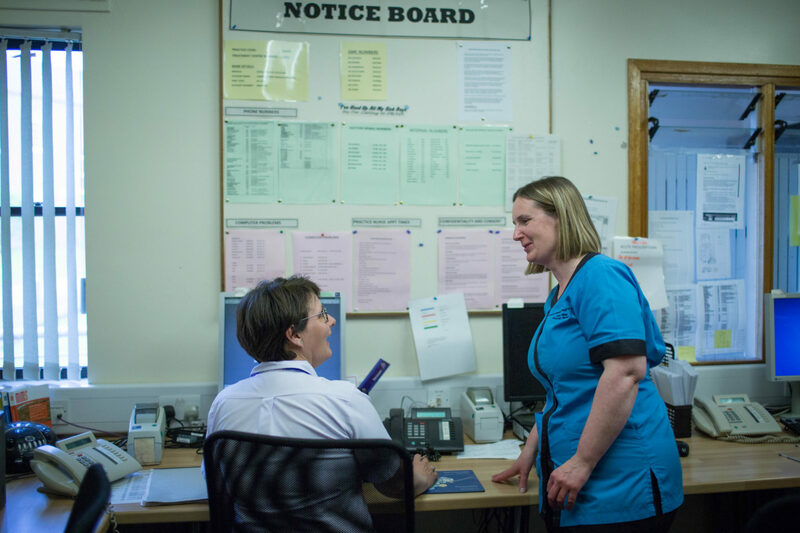 With a population of around 6,000 permanent residents, including the scattered farms and small villages that surround the town, Kitty and her four practice nurse colleagues are kept busy. Working closely with the eight GPs who also run services in the hospital, they offer a range of services and care for patients of all ages. 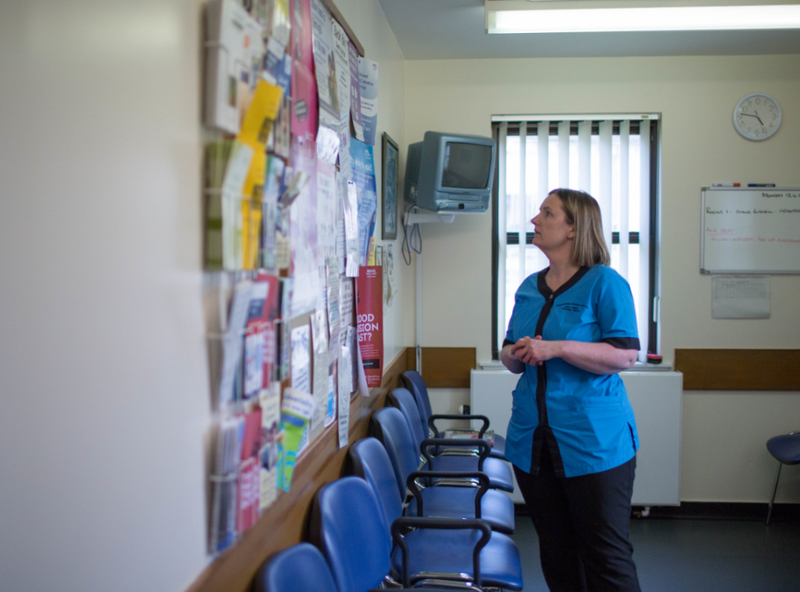 Campbeltown has a higher than average ageing population, and a large part of Kitty’s job is maintaining the health of people living with a wide range of chronic diseases. 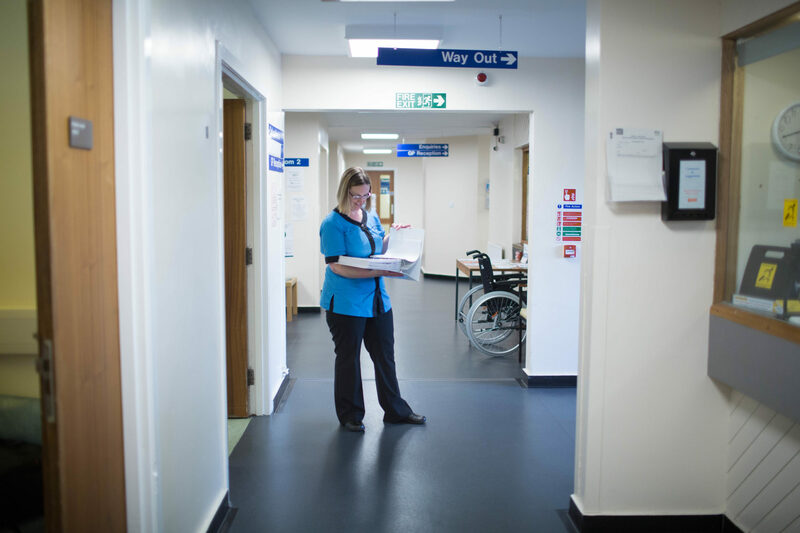 Kitty, who previously worked as a Macmillan nurse caring for people with cancer, is resolute in her determination to ensure that her patients get the best service possible. Instead of expecting people undergoing cancer treatment who lose their hair to travel to Glasgow for wig-fitting, she joined forces with a local hairdresser and now the service is available locally. A drop in service providing cancer information and support in the libraries throughout Argyll and Bute was also established. 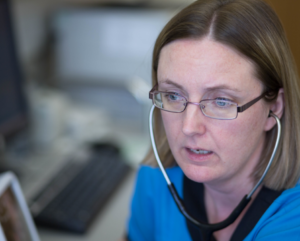 Kitty has recently been appointed as an advanced motor neurone disease nurse specialist covering Argyll and Bute.